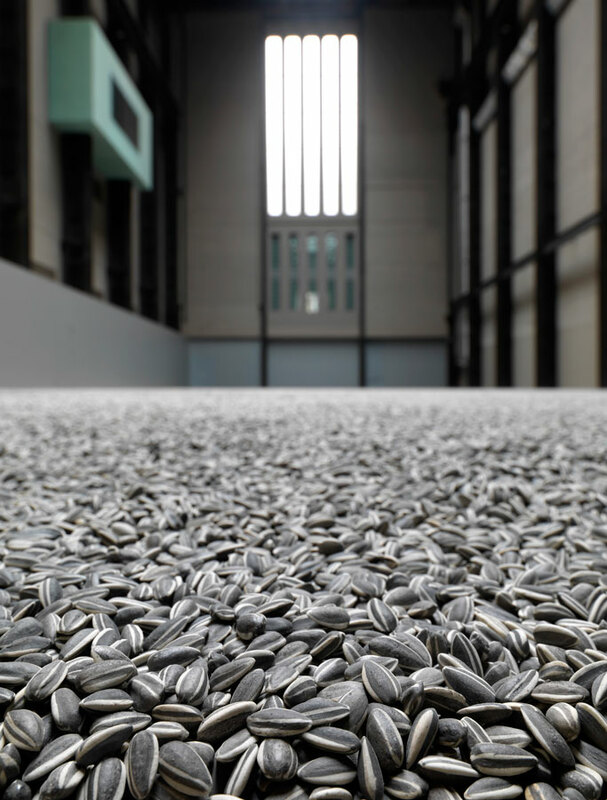 Chinese artist Ai Weiwei has created an entire hall filled with tiny, perfect replicas of sunflower seeds, each handcrafted out of porcelain. 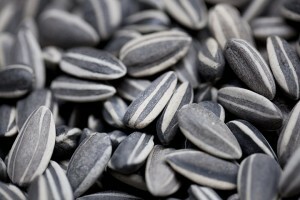 There are over 100 million sunflower seeds. 100 MILLION. Wow. Sunflower Seeds is the latest of a number of works that Ai has made using porcelain, one of China’s most prized exports. 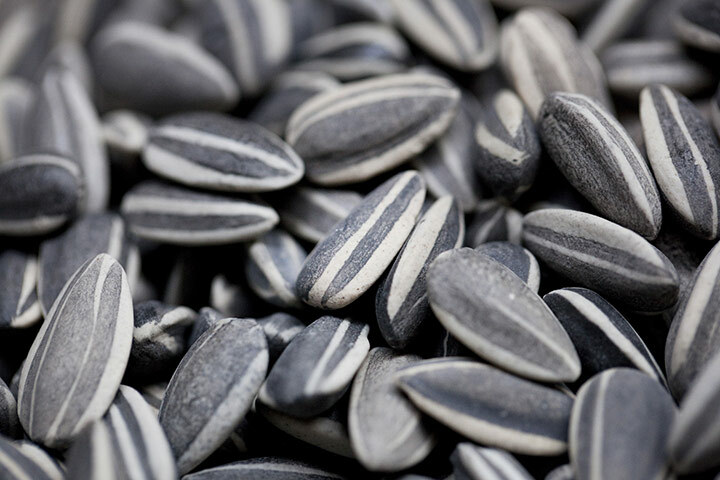 […]the sunflower seeds have all been produced in the city of Jingdezhen, which is famed for its production of Imperial porcelain. Each ceramic seed was individually hand-sculpted and hand-painted by specialists working in small-scale workshops. This combination of mass production and traditional craftsmanship invites us to look more closely at the ‘Made in China’ phenomenon and the geopolitics of cultural and economic exchange today. The original concept for the piece was to allow visitors to stroll among the seeds, encouraging them to let the seeds fall through their hands & walk upon the inches-thick carpet of porcelain. Apparently the popularity of the exhibit is proving problematic, as the Tate is now only allowing viewing from certain points to prevent visitors & staff from inhaling the porcelain dust that rubs off from repeated movement. Of course my first thought was – how are people going to resist not popping a seed or two in their pockets? It would be mighty tempting, for certain. One of the most interesting parts of the installation is Ai Weiwei’s level of interaction with visitors. He encourages visitors to leave a video with their comments or questions. I’m sure he won’t be able to respond to each & every one, but he is recording personal responses. I love this. I imagine the average art observer looks at a piece of art or a gallery show for a few seconds & then moves on. If his interest is piqued, he might read the artist statement (which can be so filled with artspeak that it’s barely intelligible). If the viewer is really interested, maybe he’ll ask the curator a question or take the museum guided tour, but already we’re getting to interpretations by others, quotes from critics & away from the original artist’s intent. I suppose a lot of famous artists wouldn’t answer that one honestly anyway, at least in public. Who wants to admit that the “genius” the art world sees in their work was not at all on purpose? Question: if you could ask any artist, living or dead, one question, what would it be?